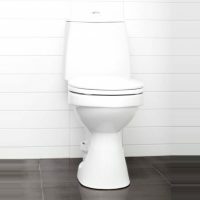 Low flush toilets provide the comfort and familiarity of a ceramic traditional toilet without the need for a soak away percolation area. Wostman have been making low flush toilets in Sweden since 1991. They use between 300ml and 2.5 litres per flush, which is much less than a traditional toilet. 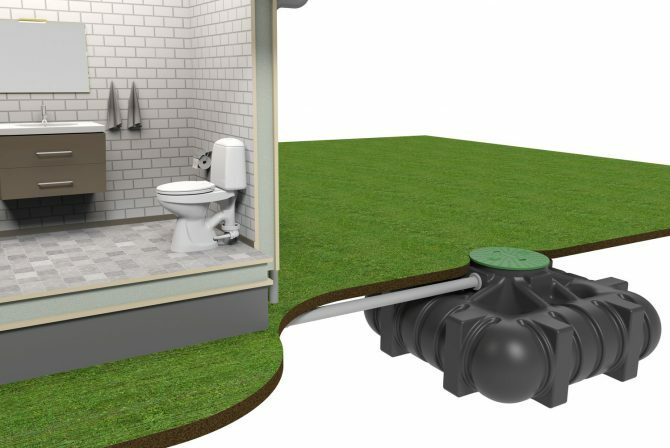 Low flush toilets can be connected to mains sewer and in this installation they save water; but in most cases they are connected to a septic tank (sourced locally) on site. This tank fills slowly because of the low volume of each flush, and because greywater is not being added in. This tank is then emptied by a local contractor when it fills up which means that the low flush toilet has the easiest maintenance regime of any of our toilets at Toilet Revolution. Download our Wostman Ongoing Costs excel work tool to calculate your ongoing costs. Like the Eco Dry toilet, a mains pressure water connection is required to install a low flush toilet. Low Flush toilets are excellent from an environmental point of view because the system is closed, no chemicals are used and nothing gets into the soil. 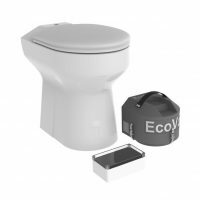 Toilet revolution are Wostman low flush toilet dealers for the UK and Ireland. There are two types of low flush toilets available from Wostman. The Wostman Eco Flush and the Wostman Eco Vac. Both low flush toilets are closed systems so they can be installed anywhere without a percolation soakaway area. The toilet is connected to a tank and this tank is pumped out by a local contractor. If you google ‘septic tank cleaning near me’ you will find local contractors that offer this service and will provide you with prices. The tank can be any size that suits your usage and site; for example 1000 litres to 5000 litres would be typical in a domestic setting. We have provided a summary comparison table below to help you choose between these products. Click on each product below to review the full product data and specifications and contact us with any queries.